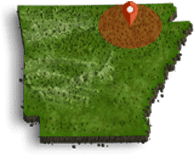 It’s not exactly the “Ozarkland Jamboree” that it started out as back in 1969, but the old Music Mountain Theatre, home of the Music in the Mountains show, now in it’s fifth year, is definitely still the hot spot in Horseshoe Bend. Back in the day, film maker Albert C. Gannaway and his company, Ozarkland, Inc. had a great vision for the area, known then as “the Horseshoe Bend Estates.” The theatre in the lower Diamond B Mall was originally designed by Gannaway and his crew as a studio and production stage for a daily syndicated television program.The country and western show was called “Ozarkland Jamboree” and was slated to feature contemporary singers and musicians of the time in conjunction with portions of old film of artists from days gone by. Gannaway, who filmed much of the “Grand Old Opry” planned on drawing from his own extensive collection of film clips for the filler spots and the first show had a line-up of live performers from both the Grand Old Opry and the Wheeling Jamboree, both ultr-popular programs of the 1960s. A studio-style western town was constructed in the area across the street from the theatre, where the Dollar General Store now sits. The adjoining lot still sports some of the bricks and part of a chimney from the old cowboy entertainment area. Sound stages were planned and the possibility of television and movie production was considered for the town including episodes of Gunsmoke, Bonanza, High Chapparal, and even “Lassie.” While Hillhigh Resort visitors flew into town to enjoy the finest in spa pampering and elegant dining, Gannaway busily envisioned a full-fledged amusement park equipped with thrill rides. The Ozarkland Jamboree never blossomed into the larger-than-Tennessee opry it’s creator envisioned. However, the old cowboy village still thrived, hosting stars like Mickey Gilley, Dolly Parton and Ernest Tubb. Under the direction of Gene Williams, the Ozarkland set became “Music Mountain Theatre,” a stage where country stars sang on the weekend and movies like “Walking Tall” were shown during afternoon matinees. By the late 1990s, the Music Mountain Theatre was a dark, dusty, musty relic with a leaky roof and the lonely, empty echo of it’s past glory. It seemed it wasn’t good for much of anything, except maybe as a staging area for a mayoral campaign. And, since the candidate happened to have a few very talented musician friends, why not put the old venue to use? A karaoke machine and a couple of borrowed amplifiers and the Music in the Mountains Show was born. The jam sessions became so popular that emcee Melody Clemmons decided to put together a regular monthly show, which lived on long after Horseshoe Bend Mayor Bob Barnes’ campaign banners were rolled up. The stage was cleaned up, the old piano tuned, a band was formed and the concession stand re-opened. Over the past five years, the Saturday night show has become a monthly meeting place for friends and neighbors where they can enjoy a hot dog or root beer float, buy into the 50/50 drawing, clap their hands and stomp their feet to nearly every genre of music, laugh at a joke or two, and generally enjoy the simple camaraderie of small-town life in Horseshoe Bend. The Mayor himself still scoops up the popcorn while volunteers sell baked goodies in the memory-filled foyer. Photos of stars past and present grace the walls, memorabilia from the 60s and 70s sits behind the glass concession counter. Upstairs, the old radio station control booth still sports the original gas spotlights. With the exception of the newly refurbished dressing rooms, the theatre still sports it’s original good, old fashioned country feel from the barn-style stage doors to the antique orange-canvass theatre seats. The performers enjoy making music as much as the audience enjoys hearing the old hits like Walkin’ After Midnight and Yellow Rose of Texas, newer classics like Can’t Buy Me Love and Bad Moon Rising; Blue Grass, Gospel, and even a Broadway show tune or two on occasion. Since 2007,the Music in the Mountains show which features the Hwy. 289 Band (Melody Clemmons, Ron Yow, Bob McCarty and Chuck McNeight), the Music in the Mountains cast and regular guests Jerry Kipper, Ron Hart and Brenda Doty, along with special guest performers, has brought new life to an old stage…and great entertainment to the community of Horseshoe Bend.